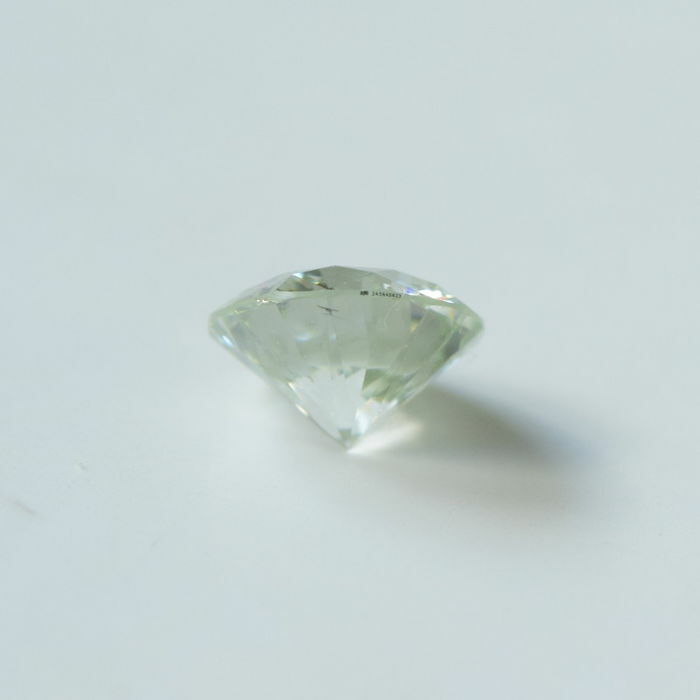 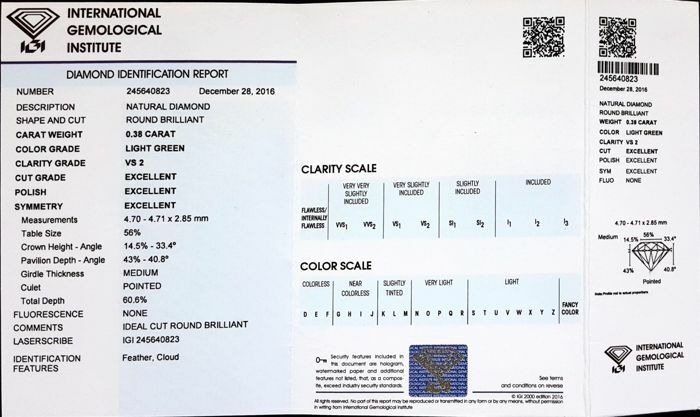 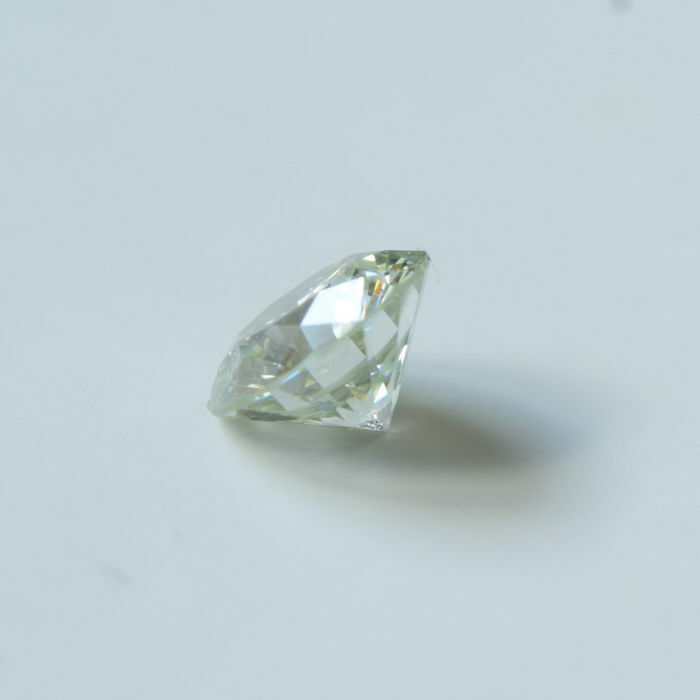 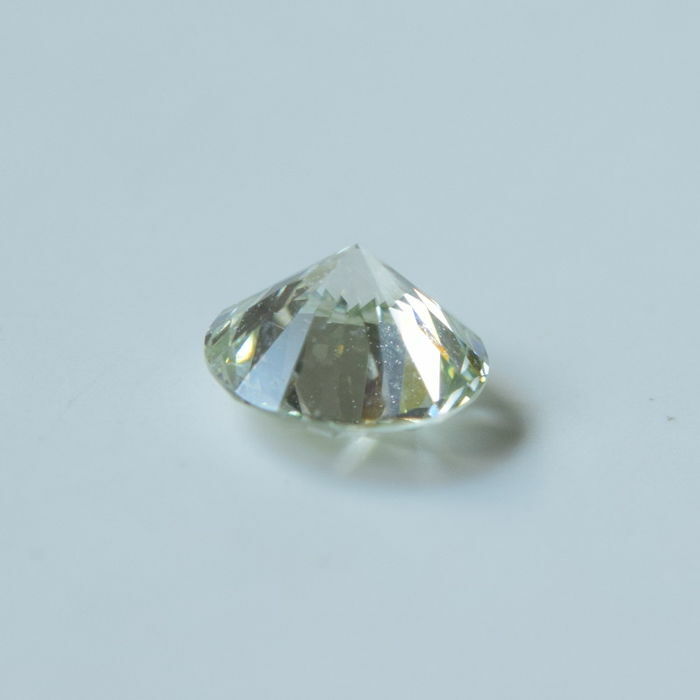 0,38 carat, very rare natural light green, brillant shape diamond with VS2 clarity, graded by IGI. 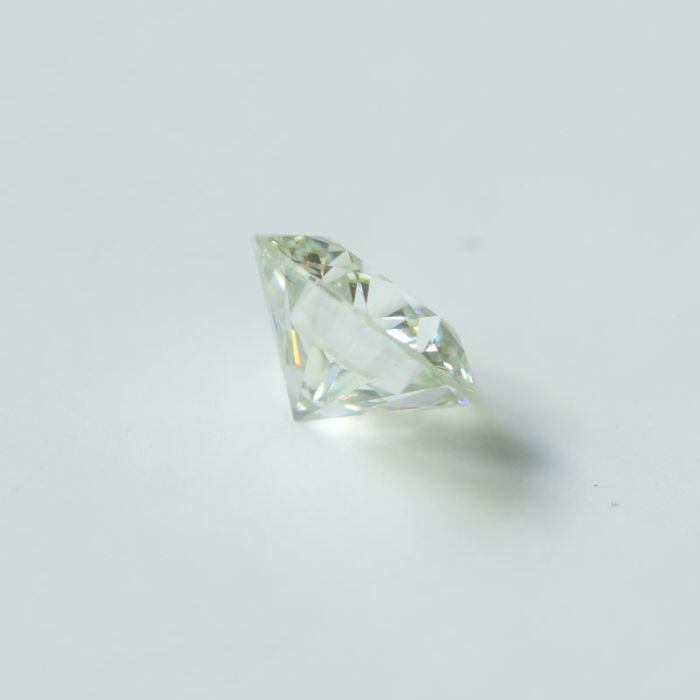 A beautiful light green diamond with a full luster and great color face up. 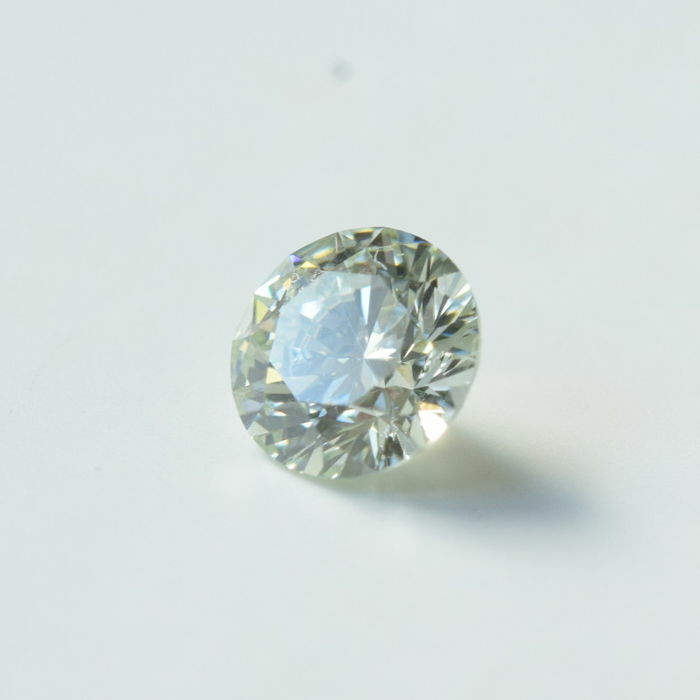 The stone has excellent cut, symmetry and polish.